I use most of my spare bricks to build Castle MOCs, of which I have done a few already. I enjoy building them, and when they are finished my 5 year old daugter loves playing with them. Not sure if this is the right thread, but here is the latest one! dude the pic dont work! Looks like a solid build, almost like the toy fort I had as a kid. Why is it on a book? (Just a sidenote, you might get more interest if you posted on a castle/moc forum eg classic-castle.com or eurobricks, this forum tends to be collectors :) would be interested to see more pictures though. Maybe use brickshelf or mocpages?). I love castle MoCs too. Its the only 'genre' where the base sets are just the starting point of MoCs for me - the sets are never big enough. Nice design by the way, keep going, keep going! ... taller turrets, another level, reach for the sky! Also, dont forget those oil pouring holes, they always look great, simple to do and very playable. thanks! It was on books as It was to piece together the inside bit with firm resistance of books underneath, rather than carpet, which is so springy that makes putting bricks on trickier. Just a little FYI, you don't have to have the castle on a rock-base to create a cellar. Many fortifications were constructed so that entrance was onto the second level preventing the "storming of the gates" scenario (not quite as easy to storm a staircase or ladder). 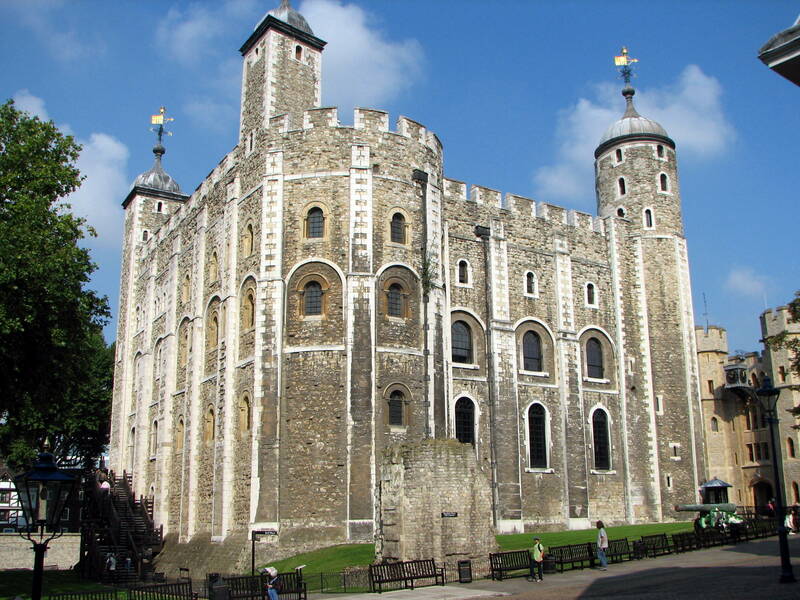 The White Tower, the original Norman fortification at the Tower of London is an excellent example of this. Note the wooden staircase on the left side. ^ That would make an excellent moc. Its probably been done before and I will be informed, no doubt. Great castle! Basic question: I'm fairly new to Brickset and other LEGO forums, obviously "MOC" refers to a person's custom creation - but what do the letters actually stand for? MOC - "My Own Creation." Thanks for all the comments! Some good stuff out there! !